It seems over the last several months that we are reverting to the ’60s, where serious discourse and demonstrations were the order of the day. What is missing, however, from such actions in many cases – not to say it always existed in Merton’s day either – is measured, rational thinking beforehand and restraint in the duration of the events. Perhaps Merton has something worthy to say to us, 49 years after his death. “It seems to me that the basic problem is not political, it is apolitical and human. One of the most important things to do is to keep cutting deliberately through political lines and barriers and emphasizing the fact that these are largely fabrications and that there is another dimension, a genuine reality, totally opposed to the fictions of politics: the human dimension which politics pretend to arrogate entirely to themselves. This is the necessary first step along the long way toward the perhaps impossible task of purifying, humanizing and somehow illuminating politics themselves. Is this possible? At least we must try to hope in that, otherwise all is over. But politics as they now stand are hopeless. So I guess I need to stay the course here and ride out the events that agitate my mind and heart. Perhaps the crux of the answer was at the beginning of the above paragraph. Purity of heart, humility and charity are not easy right now but renouncing all the outer turmoil by consistent prayerfulness might help. Actually, it might be the ticket to the wisdom found in staying the course. On this date in 1968, shocking news from Bangkok, Thailand reported the death of Thomas Merton, who had just presented a paper entitled “Marxism and Monastic Perspectives” to an international gathering of monks. During the afternoon rest period, Merton was electrocuted by a fan with faulty wiring that fell on him as he emerged from a shower. It seemed impossible that this prolific writer, theologian and seeker of justice should have left the planet after only 53 years, just on the verge of a meaningful opening of East-West understanding in the world of spirituality. This year groups and individuals the world over have celebrated the centennial of his birth. Today, in remembering his death, we celebrate his great contribution to spiritual conversation that is, in many ways, just beginning to comprehend the depth of what he was saying a half-century ago. The first of the quotes below is part of one of Merton’s most familiar texts and the other seems appropriate for an Advent day. 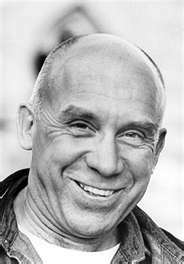 I join with so many others today to give thanks for the bright light that was Thomas Merton, somewhat hidden in the cloister of the Abbey of Gethsemane, Kentucky during his life and now shining in the world at large and in eternity. At a funeral this week and again in the gospel verse this morning, I read Paul’s declaration to the Philippians that I consider all things as loss (some translations say “rubbish”) that I may gain Christ and be found in him. (PHIL 3:8-9) While life in Christ is certainly my goal, I can’t say that everything else – and everyone – is that easy to discount. As I was pondering this, my eye fell on David Keller’s book, Oasis of Wisdom, about the world and words of the Desert Fathers and Mothers in the early days of Christianity. I opened the book at random (if such a thing exists) to page 72 where the heading read “Daily Awareness of One’s Death”. Instead of closing the book in distress I read the words of Abba Antony and Keller’s commentary that followed and found there a way to live into Paul’s words. Abba Antony said: Therefore, my children, let us hold to the discipline and not be careless. For we have the Lord for our co-worker in this, as it is written. God works for good with everyone who chooses the good. And in order that we not become negligent, it is good to carefully consider the Apostle’s statement: I die daily. David Keller comments: Abba Antony taught that a monk must live in such a way that the presence of God is always before him and, likewise, that God’s presence should become a reality in his manner of life. This manner of life is made possible by an open heart, an inner place that is always watchful and receptive to the presence of God. What follows from all this for me is the necessity of always remaining conscious of the reality that all things are not to be despised but rather seen through the lens of God’s presence. In that way they become vehicles for deepening our life in God. Oh yes, and our willingness to let go of anything that impedes that deepening or clouds that lens is essential; thus, “dying every day” becomes a pattern for life. May it be so! A verse from the Psalm of the day (51) speaks to me of St. Benedict whose feast is celebrated today. It says, “Behold, you are pleased with sincerity of heart and in my inmost being you teach me wisdom.” Benedict was born into a distinguished Italian family in or around the year 480. 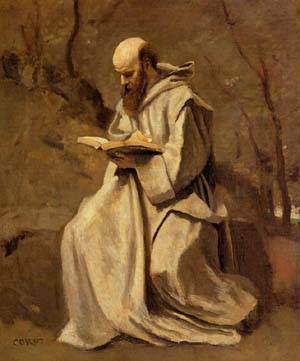 He felt the call to be a monk early in his life but did not find the life of the monastery he entered helpful in his quest for God so he became a hermit living in a cave for three years. Other monks came to him then, asking him to lead their monastery. He agreed but that experience was worse than the first as he was deemed too strict for the monks and they actually tried to poison him. 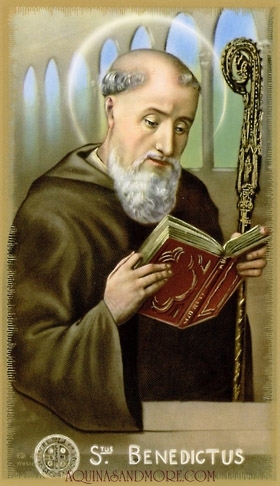 His heart was by then, however, converted to the monastic way so and he dreamed of a monastery where families of monks could all come together in a life of brotherhood and unity with permanence/stability in prayer. This he achieved in the monastery at Monte Cassino which became one of the most famous monasteries in the world. Benedict is credited with bringing monasticism to the West and his Rule of Life (the only text he ever wrote) has been a model for monastics for 1500 years. The rhythm of prayer, liturgy, study and manual labor while living together in community has gathered men and women of sincere heart in an atmosphere of God’s love and in the quest for wisdom with the goal of union with God. Today, a new expression of Benedict’s rule is growing as “regular folks” join groups in “monasteries without walls.” Going about their life in “the world” these monastics of the heart follow the rule of Benedict seeking a balanced day of work and prayer, alone and in regular gatherings with others. Many have written about this phenomenon (Try Google!) and it is one more indication that God is alive and well and living in our world. Today we should be grateful for Benedict and all others who, simply by their sincerity and wisdom have led many seekers on the path of spiritual growth.